Sara is my oldest friend, and she's been a wonderful person to photograph over the years. 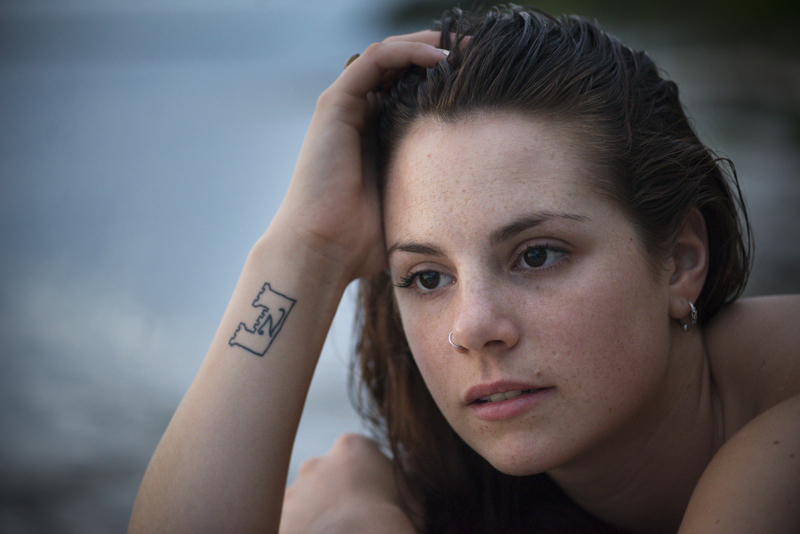 We'd been talking about doing a photoshoot focusing on her tattoos for a while, and last weekend we had a perfect location. My family's summer home sits on Lake Champlain in South Hero, Vermont and, when the water dropped for the summer, huge trees and driftwood were washed up on the rocks. The combination of drift wood, South Hero and dusk, made for a perfect scenario. 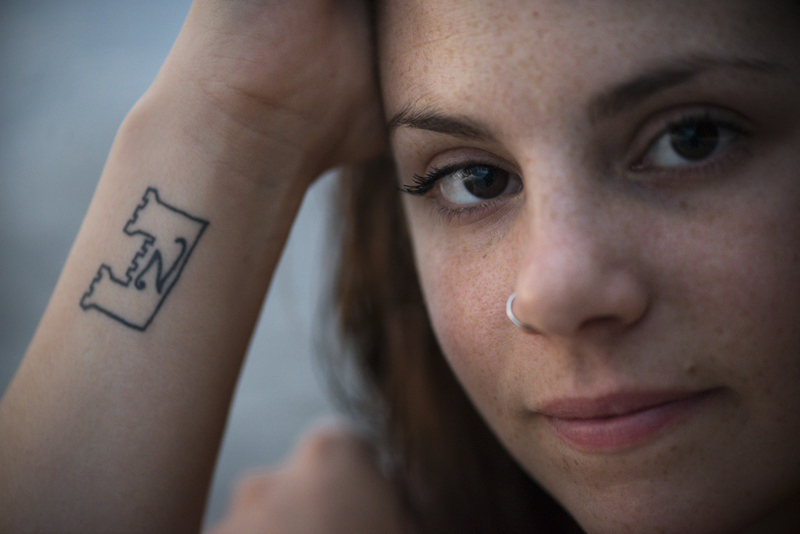 Sara's tattoos are beautiful and very personal. The tattoos above are in memory of her brother Zeke, who passed away two years ago. Sara and I have matching tattoos of the silhouette of birds in flights. Sara's on her side, mine on my shoulder blade. This past spring I purchased a 105mm lens, which I used exclusively for this photoshoot. It has an incredibly sharp focus, and I'm very happy with it. The 105mm is a macro "prime" lens. Prime lenses are challenging to use, because in order to make the image you want, you have to physically move yourself for the desired subject to be in the frame. This can be stressful if you don't have a lot of time to make an image, but I find using prime lenses keeps me on my toes for my composition, focus and attention to detail. A challenge and benefit of using the 105mm is that I am, generally, going to be quite far away from the subject. Sometimes I like being close to the person I'm photographing, but this lens forces me to be a certain distance apart. The benefit of forced distance is the person does not feel crowded. It changes the interaction between photographer and subject. It's been important to me to photograph Sara because she is my oldest friend and kindred spirit. Through our photoshoots, I've been able to document the elusive quality of our friendship strengthening and changing over the years, as well as our own transformations as we grow older. Now that we've done so many photoshoots together, the whole process is very natural when I'm making images. I'm very lucky to have such an amazing friend.